Italian art and architecture has long been admired by audiences througout the world. From the Classical Period through the Renaissance and into today, Italian art has fluorished in many regions of the country. One only needs to travel among Italy's most popular cities to experience a wealth of artistic traditions and contemporary innovations. This CultureQuest will guide virtual tourists through the artistically renowned centers of Italian art and architecture and examine the periods in which each of these regions has made its lasting impression on the face of Italian culture. To visit the Renaissance painters of Florence, the classical art and architecture of Rome, or the contemporary art of Venice, select one of the links provided and enjoy your experience! Navigate a web page and summarize information. 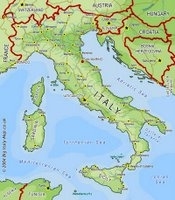 WEB SITES: For further information about the Italian cities investigated. 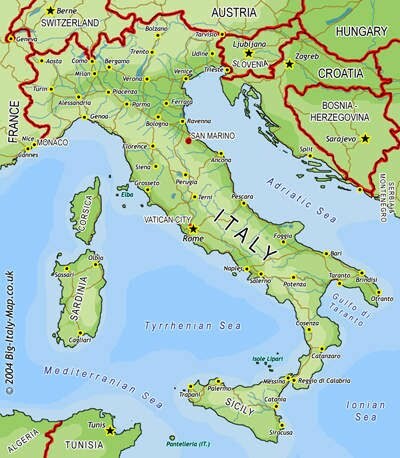 This CultureQuest can be used to familiarize students with Italy's culture when teaching literature that involves Italy and its art. It's also a great resource for nonfiction reading materials. For a list of internet resources used in this CultureQuest, select this link.